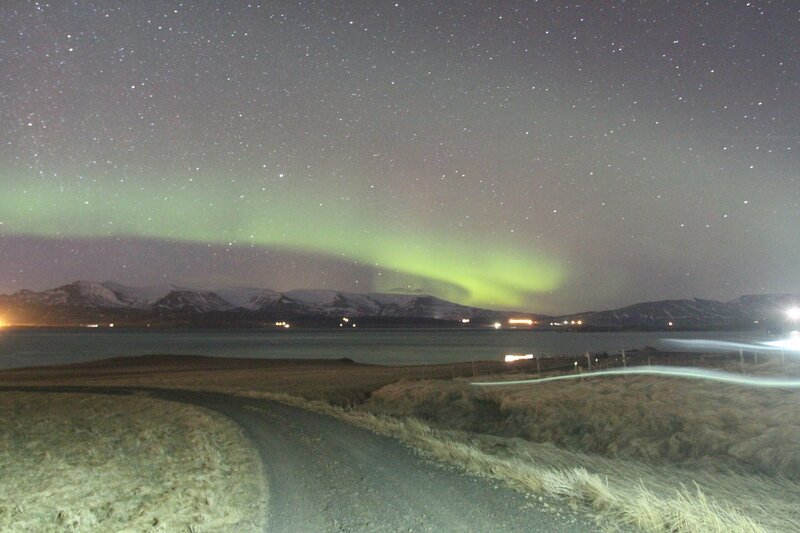 Book Bus Online for Northern Lights Tour In Iceland! Pickup begins at 20:00. Be ready for pickup at 20:00. Pickup time is one hour later at 21:00 in spring and autumn. See pickup timetable underneath. 20:30 every day during the winter season. Pick up from accommodation and Bus Stop´s begins 30 minutes before departure. Return home around 00:30. In spring and autumn departures are one hour later. See Departures of the season. August 26th to April 22nd. When conditions are favorable. A final decision is made at 17:00hrs daily as to whether the tour will take place. Remember, if there was no chance of seeing the lights, there is no way we would be on the bus! 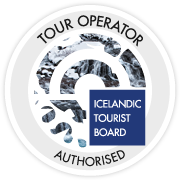 We don’t want to waste your valuable time whilst you are in Iceland. Please visit www.thuletravel.is for booking info or ask your hotel reception assistant to book it for you. Furthermore, if for some reason mother nature doesn’t deliver on the night you do the tour, you will be given a voucher to take the tour again with us free of charge. 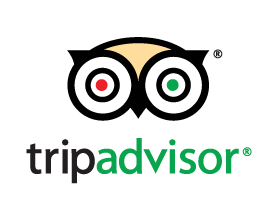 In fact, its very important in that instance you re book for the free tour as soon as is possible. You can do this by either calling us or sending us an email. 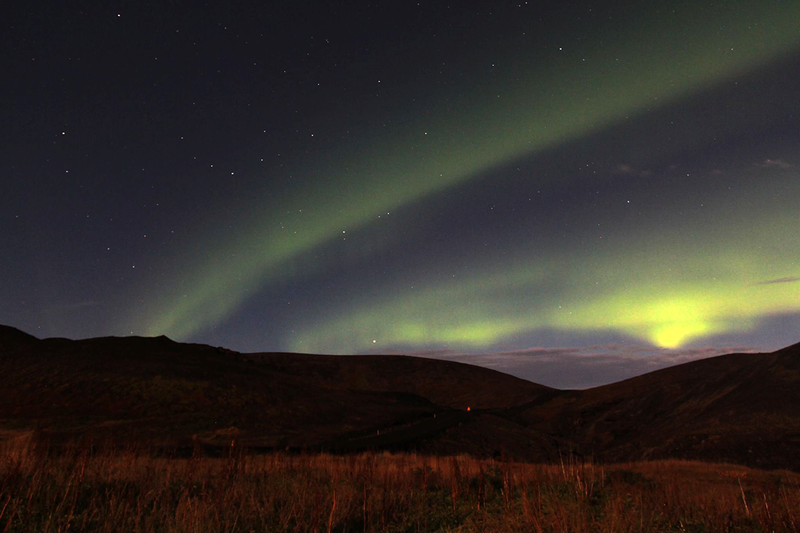 The Northern lights or Aurora Borealis are one of nature’s most amazing natural phenomena. At Thule Travel we understand that taking you to the heart of the action is very important. 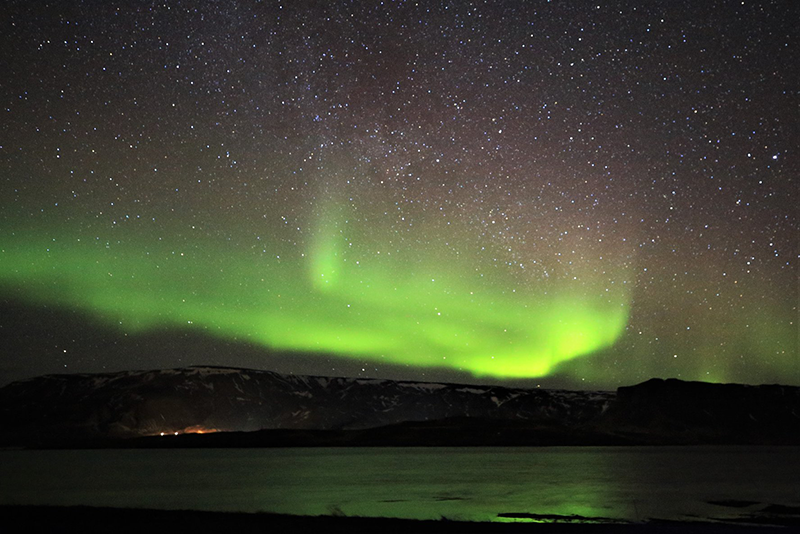 Whilst searching for the Aurora our guides will enlighten you with tales of local folklore and information about the Aurora. 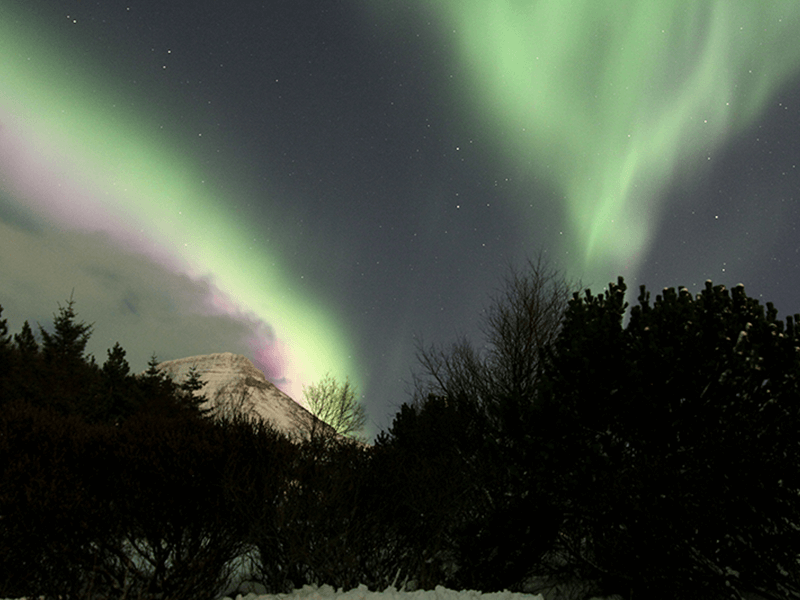 We look forward to welcoming you on our Northern Lights tour. All hotels and booking agents in and around Reykjavik will be informed if the tour is going ahead or not. We will indeed inform them all by email of our decision by 17:00hrs local time. Please make sure that you speak to your hotel front desk or booking agent around that time to see if the tour is on or off. We are good at what we do, however, sometimes mother nature just does not deliver. In fact, we can never make any guarantee on any evening that the Aurora will appear. However, if we go out we believe there is a chance. Alternatively, we reserve the right to cancel/return from the tour at a time decided by our guides. 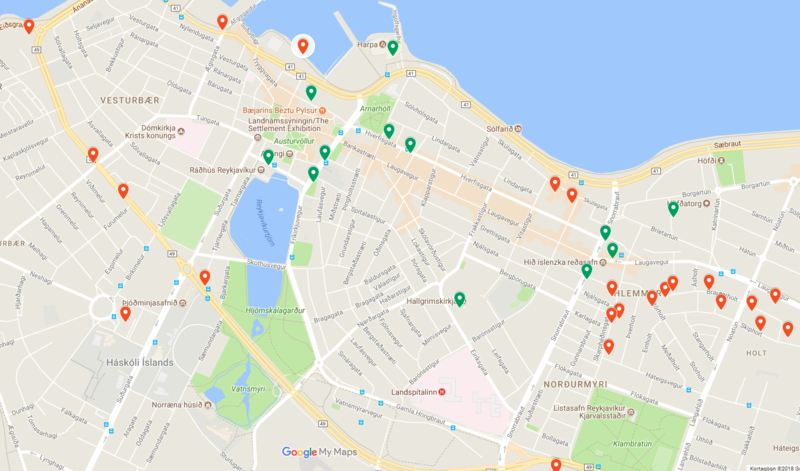 On our return, we will endeavor to drop guests off at their original pick up point though sometimes there may be a need to drop guests off as close as possible to that point due to vehicular restrictions in Reykjavik which are changing all the time. All cancellations by you must be made in person at your booking point or you can email or call us at Thule travel within 24 hours of departure. 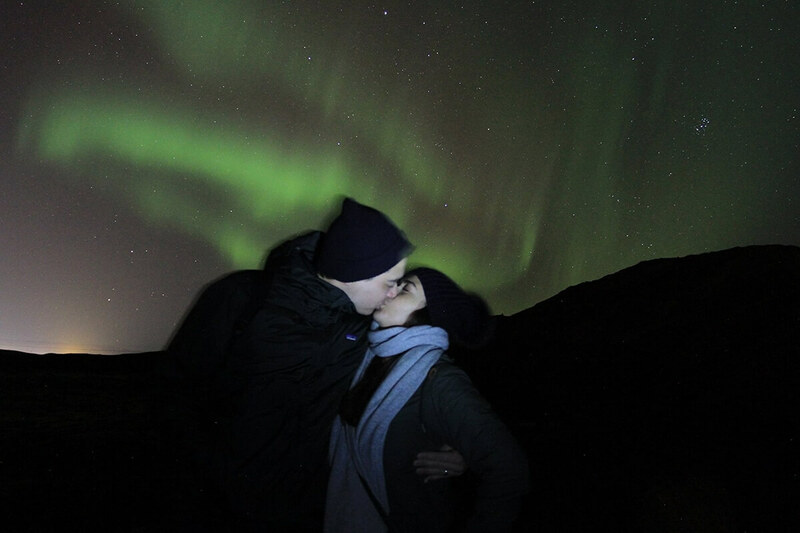 Length of a Northern Lights Tour: 3-4 hours.